In April, we announced that we’ve been developing a new solution that allows your videos to earn revenue while a Content ID claim is being disputed. 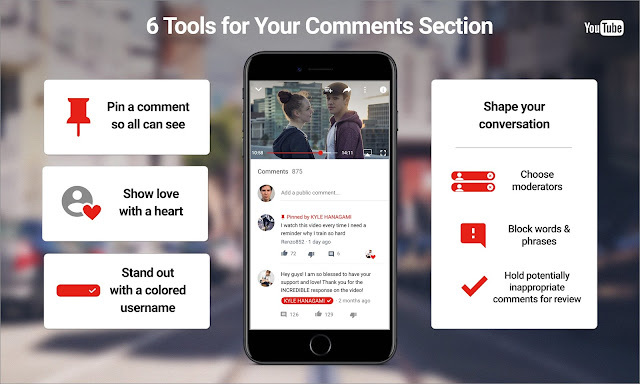 We’re excited to share that this is now available to all creators in the YouTube Partner Program! Here is a refresher on how this works: If both you and the Content ID claimant want to monetize your video, we will continue to run ads against it and hold those funds separately while the dispute is resolved. While you can dispute a Content ID claim at any time, the vast majority of disputes are made within the first 5 days of a claim being placed on your videos. Our new system is designed accordingly: If you choose to dispute a claim within the first 5 days of receiving it, we will hold revenue from the day the Content ID claim was placed. If you choose to dispute a Content ID claim after 5 days of the original claim, we will start holding the revenue on the date the dispute is made. Read more about how this works here. As always, thanks to everyone for sharing feedback about our copyright processes. We’re always working to improve our systems, with the goal of empowering creators with the freedom of opportunity to build a business and succeed on your own terms. 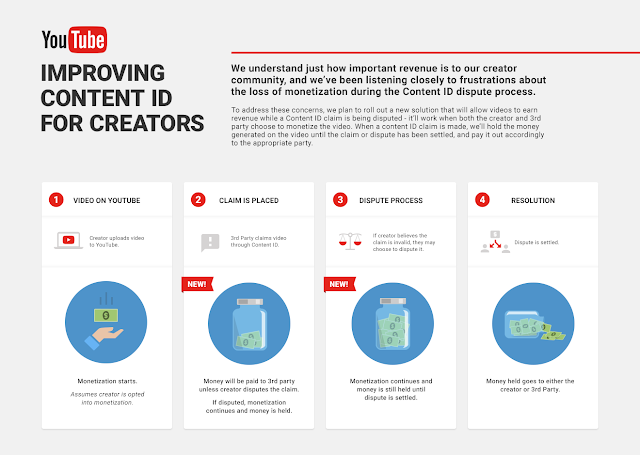 Update, 11/1/2016: In April, we announced that we’ve been developing a new solution that allows your videos to earn revenue while a Content ID claim is being disputed. We’re excited to share that this is now available to all creators in the YouTube Partner Program! Here is a refresher on how this works: If both you and the Content ID claimant want to monetize your video, we will continue to run ads against it and hold those funds separately while the dispute is resolved.